Daniel Van Sytzama was born in the Netherlands of noble birth. He was educated at the University of Utrecht and was fluent in many languages. Van Sytzama inherited great wealth, received the title of Baron and died in 1918 at the age of 60. In 1928, the former home of Baron Daniel Van Sytzama, located at 320 East Central Avenue in Zeeland, Michigan, opened as a ten bed hospital and was named the Dr. Thomas G. Huizinga Memorial Hospital. It was demolished in 1988 to make room for the Heritage Healthcare Centre. For the rest of the story, see "The Daniel Van Sytzama Story", compiled by Suzy Frederick. 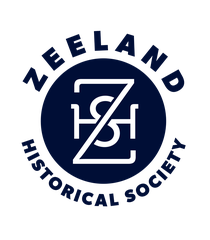 Zeeland Historical Society Timeline Winter 2017: 4-5. Print. 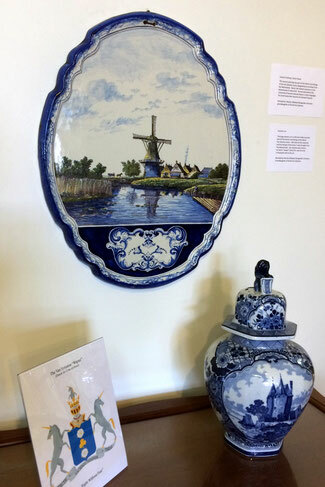 In 2017, Marilyn Wyngarden Johnson, granddaughter of Daniel Van Sytzama, donated two extraordinary ceramic pieces to the Zeeland Historical Society. Both pieces are on permanent display in the Main Gallery of the Zeeland Museum. 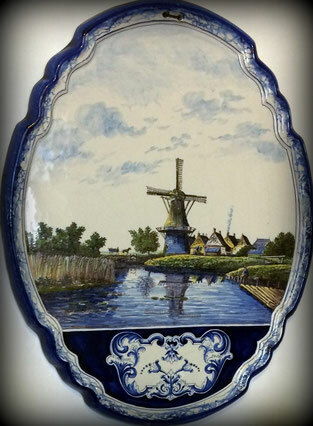 The ceramic Dutch painting and the large ceramic urn were part of the interior furnishings of the Baron Daniel Van Sytzama mansion. 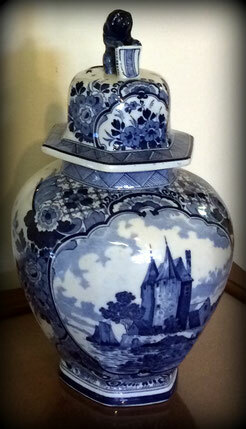 And, like many of the materials and furnishings of the home, the items were brought from The Netherlands.